Congratulations to Hayley Alright from Mad as a Hatter on Abbey Road (near the post office). She had the fantastic idea of getting some of the traders together for their very own pavement market by their businesses to try to add a bit of spice and drive up the footfall towards the small parade of shops down there. And pretty damned good it has turned out to be. A really positive initiative Haley, you're not so mad at all… well done! More power to your elbow Hayley……..you ain’t as mad as The Hatter…….Brilliant Bearwood…..don’t forget Monday’s May Day Free Festival at Lightwoods Park with Musical Youth and Dexy’s Pete Williams……..Get there for a great day out in Bearwood! 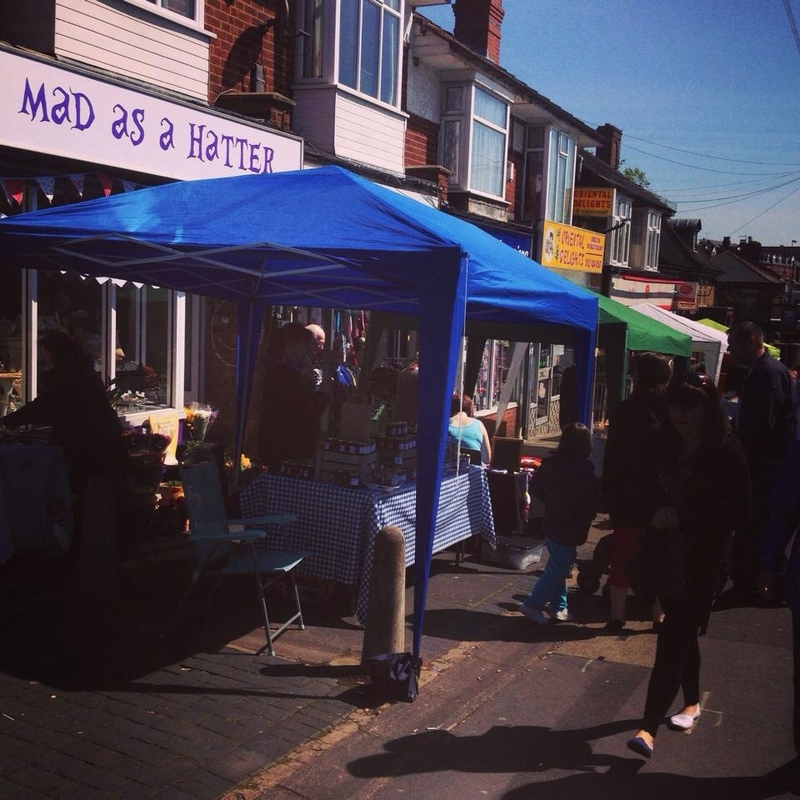 Had absolutely no idea this market existed Hayley (I came into your shop today to ask about handmade stuff that I made) ….. definitely would like a stall this coming Saturday, can’t wait! I’ve just moved to the area and was amazed to see the mini market, I loved it and have can’t wait till the next, although my bank balance has other ideas! !